Working with nature is a key aspect to my method of growing nutritional healthy fruit and veg for the family. 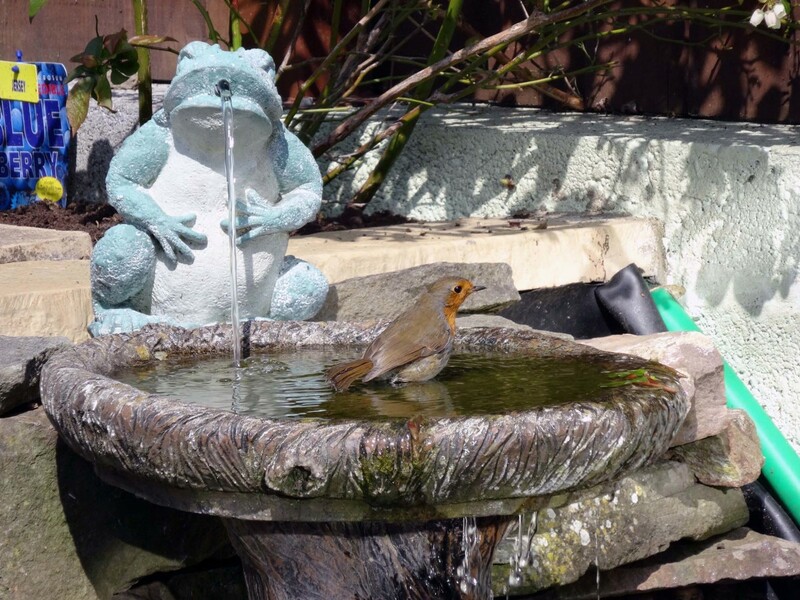 Robin in birdbath set in wildlife pond with frog spouting water. 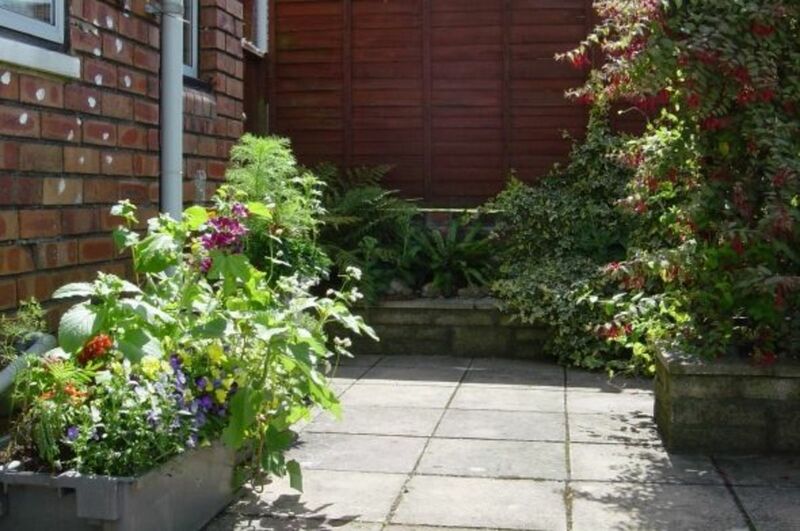 What better way to enjoy gardening than working with nature, enjoying the pleasures of its wildlife and at the same time reaping the benefits from organic gardening growing your own healthy vegetables for the kitchen and putting good healthy home grown food on the dining table for the whole family to enjoy. You can achieve this with a well-planned wildlife pond in your garden in conjunction with other good organic gardening practices. 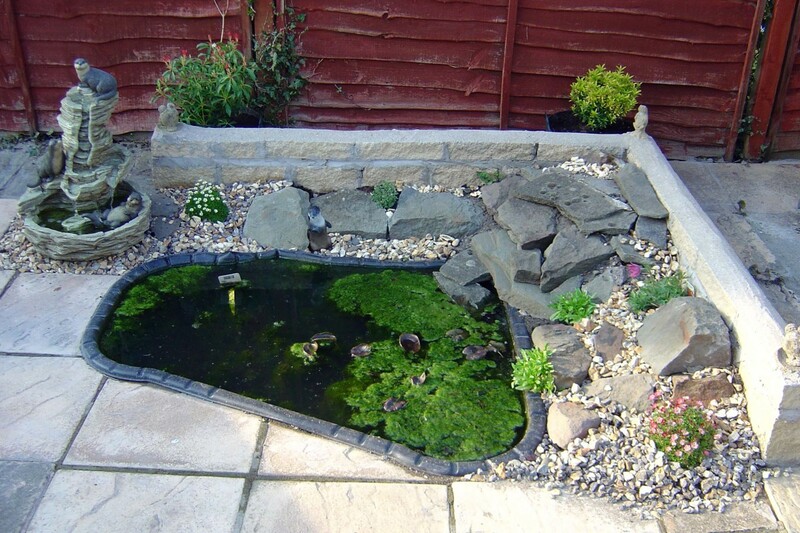 As well as describing what a wildlife pond is and their benefits based on my own experience this article is also a 'How To' Guide with recommendations on what you need make your own wildlife pond (with water features) for the benefit of organic gardening; and includes reviews and recommendations for the basic you need for making a suitable pond in your garden. The kit includes liner, a 200 GPH pond pump with fountain. The liner is 8 foot by 10 foot so allowing for a minimum of 18 inches depth the pond will be up to 5 foot by 7 feet which for a small wildlife pond is ok; my first wildlife ponds which were thriving were no larger than this. What is a Wildlife Pond? So what is a wildlife pond and how does it differ from a fishpond. 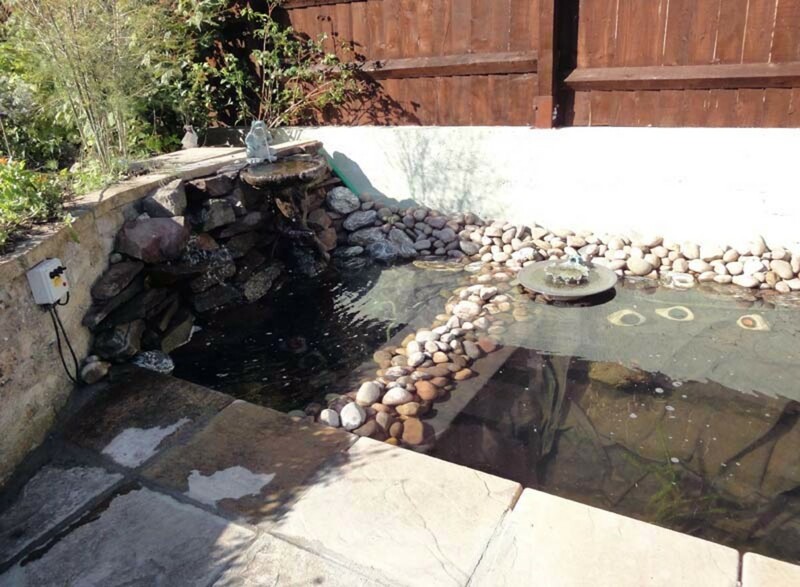 A wildlife pond is pond that is allowed to naturalise and with the help of wildlife establish its own eco system unlike a fishpond that requires a lot of attention and maintenance all the year round. Once made a good wildlife pond will attract wildlife like a magnet, within the first year you're sure to have it streaming with wildlife such as toads and frogs, and if you're lucky newts, and overtime the diversity is sure to increase as dragonflies and water boatmen join the fold. Unlike a fish pond that requires regular cleaning and attention, keeping soil out treating for algae and blanket weed and keeping oxygenated all year round with water pumps a wildlife pond normally develops its own viable eco system within a short time, usually within the first few months and a bit of soil in the pond doesn't matter, often providing nutrients for wildlife. In essence wildlife is very adaptable and very resilient provided you don't introduce fish to the pond; fish will only take from the eco system and not contribute anything to it. They will take the much needed oxygen for themselves and devastate the wild life by eating their eggs. 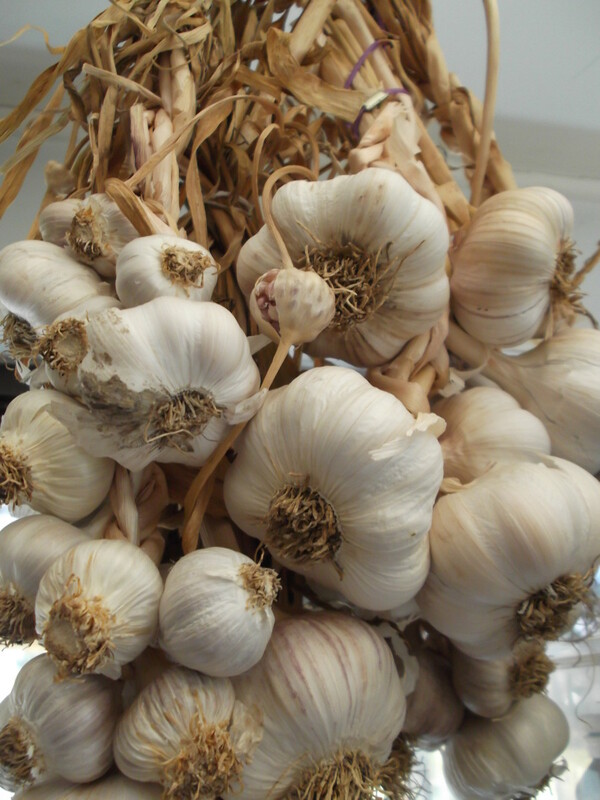 Part of organic gardening is the natural control unwanted creatures, pests that devastate fruit and vegetable crops in the garden , without using chemicals harmful to humans, pets and wildlife including birds, mammals and beneficial insects such as bees and ladybirds etc. There are natural remedies to control unwanted pests without serious harm to their predators and in conjunction with these a wildlife pond will nurture beneficial creatures such as toads, frogs and newts that will help you in your fight to maintain a natural balance in your garden and keep your crop damage to a minimum. Hedgehogs and foxes will eat snails, as will some birds and other birds will happily feed off a wide variety of insects and bugs, many pests, in your garden; all these allies will appreciate the occasional drink from your pond and in return will help you in your fight to control pests. Yes urban foxes may inadvertently dig up the odd plant while digging for a juicy slug or snail (and worms0 but the damage is minimal and by helping to keep the slug and snail population down fewer plants are going to be attacked and destroyed by these pests anyway; in Bristol 15.5% of the fox's diet is Invertebrates, slugs, snails, worms and insects etc., and in London Invertebrates make up 21.4% of their diet (Source - The Fox Website). For the pond to breath and support wildlife oxygenation is vital, easily achievable with the introduction of a sprig of oxygenating plants; but the plant will quickly colonise the whole pond and should be thinned out each winter when there is little wildlife inhabiting the pond. 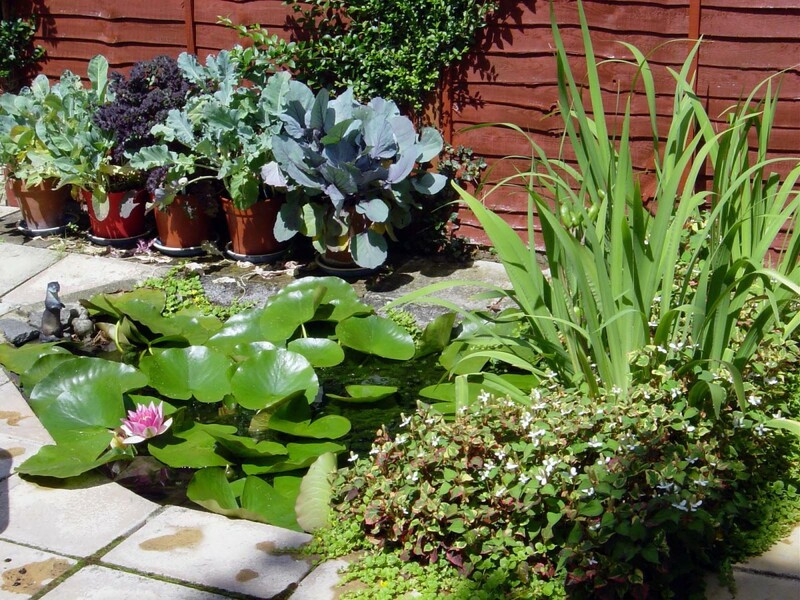 You can introduce water lilies and marginal plants but with caution; many water lilies and marginal plants are far too vigorous for small ponds and therefore great care should be taken in choosing suitable species. Also, when buying plants for the pond check there's no duckweed on them, and even if there is no visible sign of duckweed give the plant a good wash just in case to minimise contamination as once duckweed gets into a pond it is extremely difficult to get rid of. Duckweed is a very tiny green leaf (just a few millimetres across) that multiplies by very rapid division e.g. the spread of duckweed doubling in size several times each day so from a single leaf the whole pond can be covered within weeks. A little Green Algae doesn't hurt but it can become a problem if there's not enough oxygen in the water, which may be the case if the pond is new and still establishing; in which case the problem should minimise as the pond becomes established although it can be given a helping hand by through a few pieces of straw on the pond surface which will help to breakdown the algae. Blanket weed can be another problem if there's too much nutrients in the pond. Nutrients which the blanket weed feeds on can come from garden soil in the pond and is the natural waste products of the wildlife in the pond. If the eco system is balanced this is not normally a problem but if blanket weed does establish it can be eradicated easily and cheaply by using products for controlling blanket weed in fishponds that are safe for wildlife. For small ponds it's not so critical but I would recommend paying the extra for a rubber rather than PVC pond liner in that not only is it more durable but also will stretch as necessary when being laid so that you can get a neater finish. 15 foot by 20 feet EPDM flexible rubber pond liner. A wildlife pond needn't be particularly large but the bigger it is the more diversity it can support. 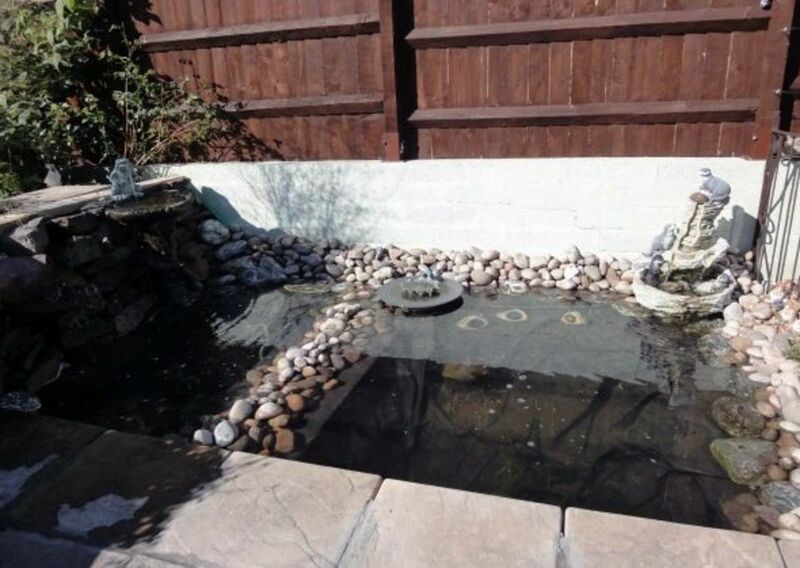 The critical factor is depth; the pond should be no less than 18" (450mm) to ensure the pond doesn't freeze to the full depth during a harsh and prolonged winter. Preferably the pond should be between 2' and 2.5' (600mm and 750mm). 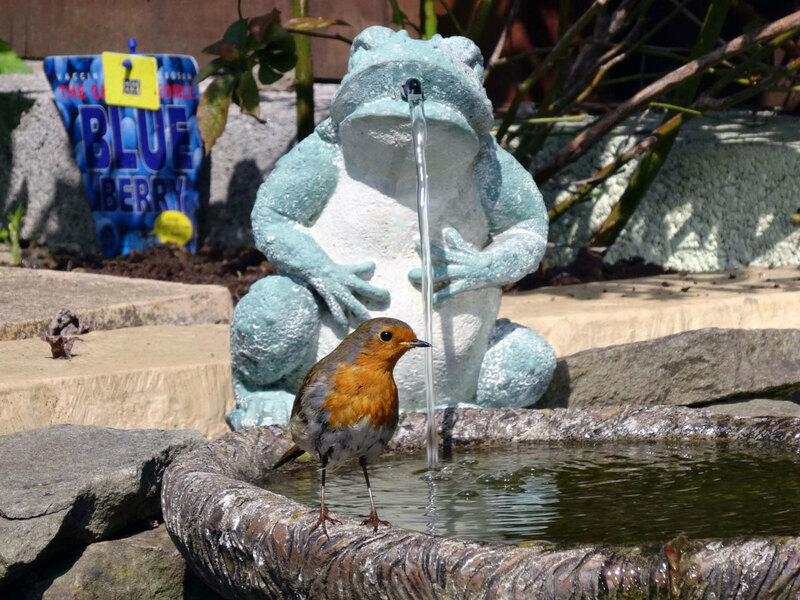 You can purchase a pre-moulded rigid plastic pond which is durable and long lasting, just dig a hole to fit, level, fill with water and add a sprig of the oxygenating plants; then sit back and let nature do the rest. Alternatively you can dig a hole to your own design, depth, size and shape and use a pond liner, plastic or rubber; I've used both in the past and my preference is rubber. Rubber liner is a bit more expensive than plastic liner but it looks better, it's also a little more durable and should last a lot longer before it needs replacing. When measuring for liner add the width plus twice the depth one way and length plus twice the depth for the other way e.g. the liner required for a pond 3ft x 4ft at 2ft depth (900mm x 1200mm at 600mm depth) would be 3+2+2=7ft by 4+2+2=8ft (2.1m x 2.4m). If using a pond liner ensure there are no sharp stones visible or just under the soil surface that could puncture the liner and always add an inch of sand to the bottom of the hole before putting the pond liner in as the water pressure will be at its greatest here and any stone just under the soil is likely to push up against the liner risking puncturing it and causing a devastating leak. Also, when digging the hole for the pond the sides should slope gently, especially near and at the rim of the pond so that wildlife has easy access. 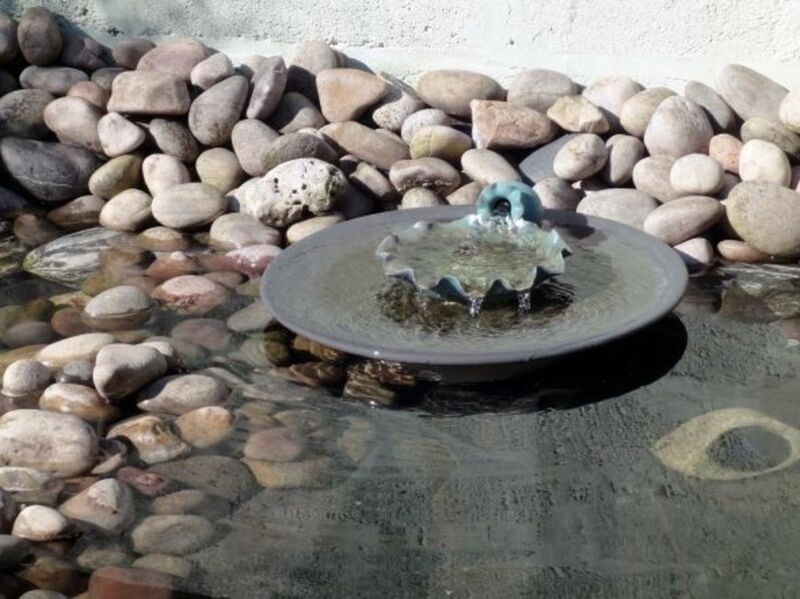 It's also beneficial to build a shallow shelf around the edge of the pond specifically to put stones around the edge where the liner will be most visible and most exposed to the ultraviolet rays of the sun. This serves four purposes, pebbles are more aesthetic than visible pond liner, the decorative stones and pebbles blocks the sun's rays from the liner where it is most exposed the ultraviolet rays which may otherwise degrade the liner overtime, the stones provide shelter for the wildlife and makes for easier access to and from the pond for them and finally the stones/pebbles helps to hold the edge of the pond liner in place. You can add water features to a wildlife pond if you wish, it does help to oxygenate the water and visually for humans the sight and sound of trickling water is more pleasing, but for the wildlife (provided you've incorporated oxygenating plants into the pond) it's not essential. 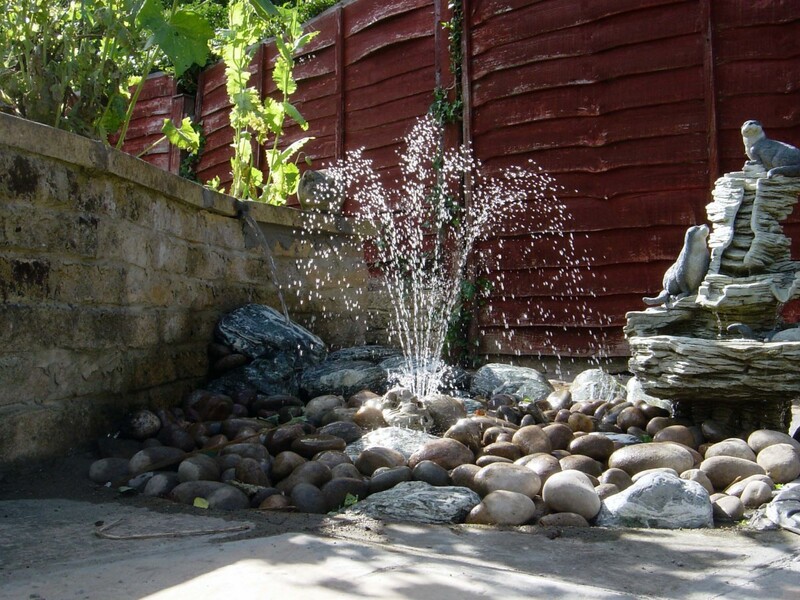 However, if you do add water features you'll still want to give the wildlife a safe haven e.g. a space of their own where they're not constantly being sucked through the pumps and you'll want to keep the pumps well isolated from any oxygenating plants so that the plants don't clog up the pumps. This can be achieved in many ways e.g. two separate ponds where they only meet near the water surface and separated from each other only by pebbles which keeps the oxygenating plants on one side but allows water and wildlife to traverse between the two ponds, and or a standalone self-contained water feature etc. From my experience the cheaper water features tend to be less good, and their pumps may not always be that brilliant. However, if the pump does fail on an inexpensive water feature with a bit of DIY ingenuity it's easy to add the water feature to an existing pump already in the pond by using a suitable pipe splitter; provided the existing pond pump is reasonably powerful. I've done this a couple of times, once for my own pond and again for a friend. 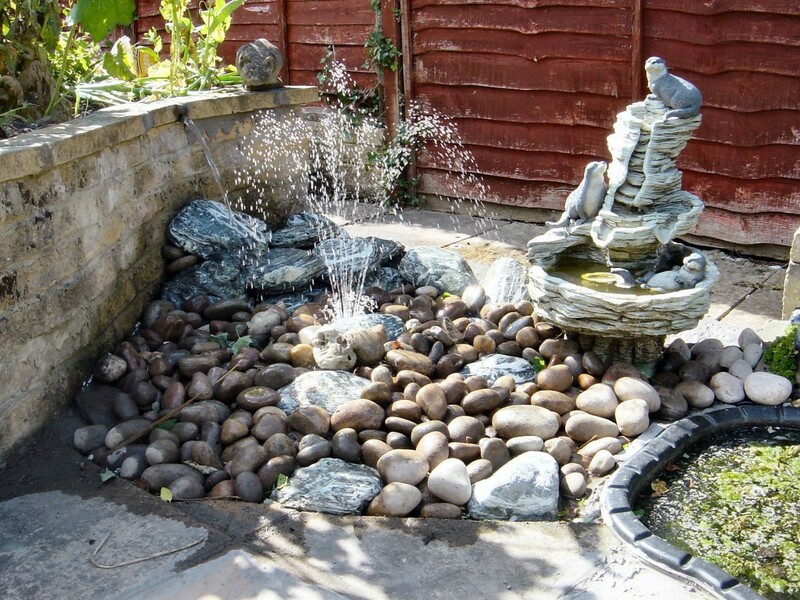 And I think doing this improves the water feature as it's no longer self-contained but gets its water from the pond and returns the water to the pond in a more natural way. 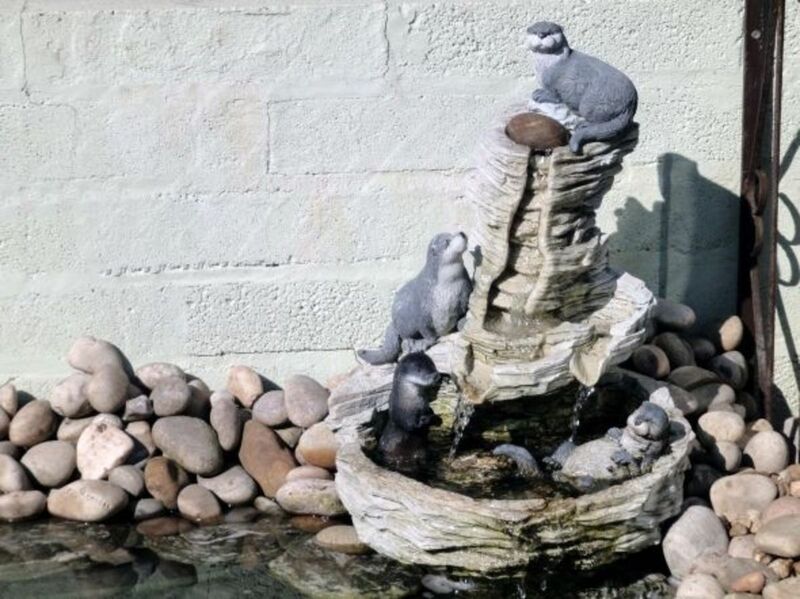 When I first experimented with water features in my wildlife pond it was a good few years ago and I tentatively tried a cheap pond pump with two outlets and fittings for a fountain and waterfall. However I found the holes in the fountainhead so small that they frequently clog and you're forever taking the head off and cleaning it. Therefore when I redesigned the pond, making it bigger, as well as buying a new and more powerful pond pump I kept the old one and fixed some adaptors on the fountain outlet to fit a suitable water pipe which led to another water feature that doesn't have the tiny holes of a showerhead and therefore doesn't get clogged. So if you have an old pond pump with a fountain and you have similar problems with the right adaptors you can fit piping to it to make an alternative water feature e.g. water trickling down over some rocks at the edge of the pond. When you upgrade or replace an old pump it pays to keep any old fittings as you never know when some may prove useful in adapting outlets to flow pipes for feeding specific water features in the future. 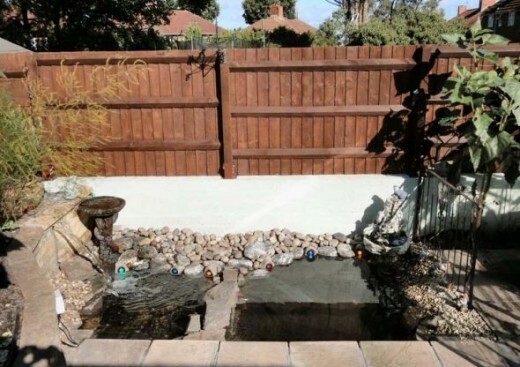 Also, as debris naturally builds up on the bottom of the pond, especially wildlife ponds, you'll want to put a wire shelf on top of a few bricks in the bottom of the pond to sit your water pumps on so that they are a good six inches above the bottom of the pond and therefore above where the mud forms from decaying plant material naturally settles. A great pond pump that handles debris up to 0.25 inches in diameter which is suitable for ponds up to 4000 gallons and ideal for waterfalls and streams. It fits 1.5 and 1.25 inch tubing from which if you wish to run two water features you’ll need to fit a Y or T splitter. 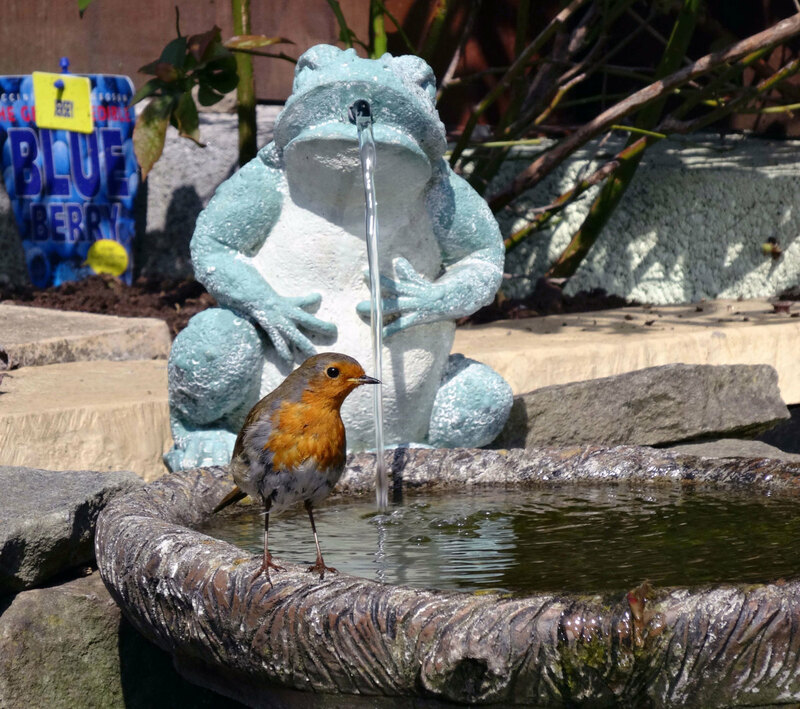 When deciding on a pond pump if you intend spitting the water to feed two or even three water features the water pressure to each feature will obviously be lower in proportion to the size of the pipes e.g. a 0.5 inch water pipe will take less water than a 1 inch pipe. Therefore, to be sure you’re not disappointed go for a bigger rather than smaller capacity pump; there are no magical numbers (that I know of) as I have run two water features from quite a small pond pump successfully before now but have got better results by running the same water features with a bigger pump when I later replaced it. That being said some water features, like the otter waterfall in the corner of our pond only requires a trickle of water to work properly (originally it came with its own internal pump) so when I feed it from our new pond pump I’ve had to put a large pebble in the top of the otter waterfall to break the water as it comes shooting out of the spout, and it works a treat. So when installing a new pump and water features you’ll need to thoroughly test everything and make any adjustments until it’s all working to your satisfaction. A lot of the smaller pumps with fittings for fountains in the kit often have two or three outlets so that the pump can also be used for other water features, whereas most of the more serious pumps will have just the one outlet; although provided it has the power (water pressure) to handle more than one water feature; measured by gallons (litres) per hour then you can buy suitable 'Y' or 'T' pipe splitters separately with jubilee clips and water pipes of the sufficient length and correct diameter for linking your pump to your water features. To marry everything up you may also need to use hose bard connectors and adaptors of the right sizes. 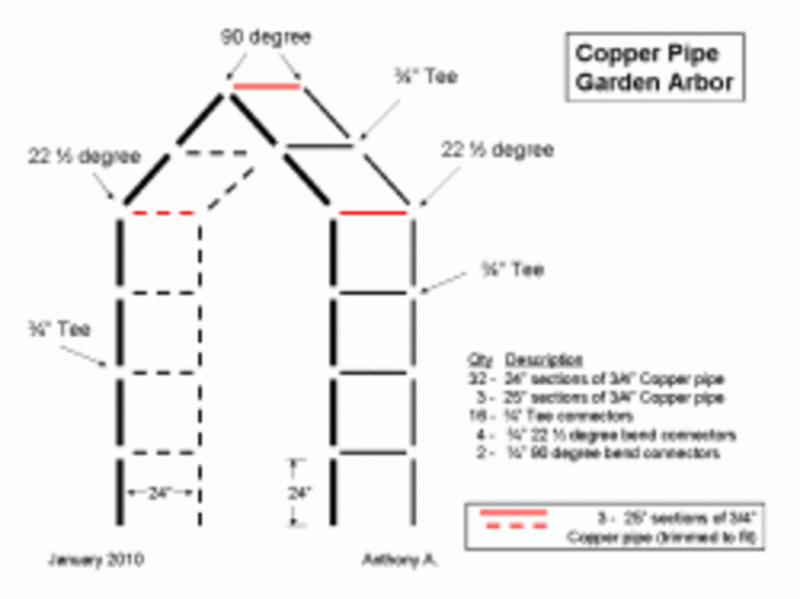 In designing your own pond and water features if you’re not sure how it all fits together rather than second guessing I found it’s best to get the pump and buy the water features first and then you can see what fittings and how much pipe you need and buy those separately; often locally as they are common fittings. 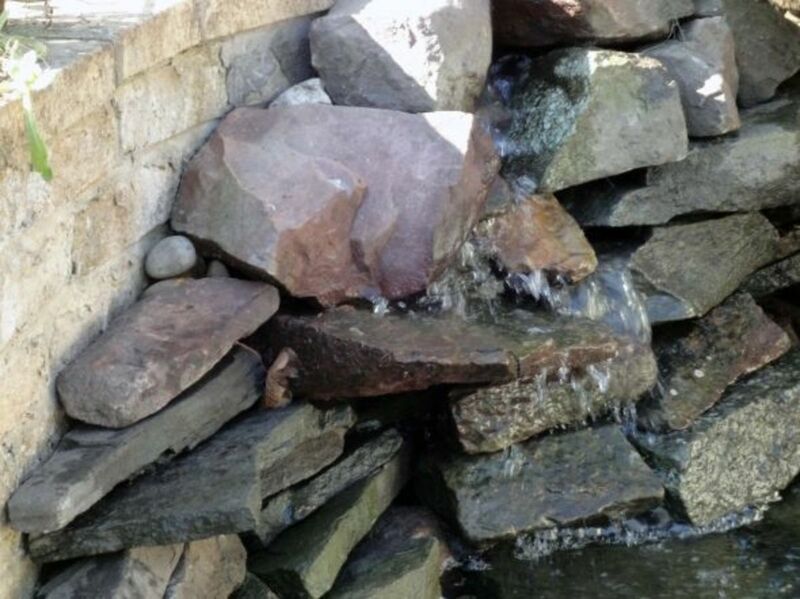 Obviously for one of your water features if your intend having just a large bore hose outlet hidden behind rocks to create your own waterfall (as I did) then the fittings are easier in that all you need is fit a suitable length of pipe to the pump. Preferably, when joining pipes try to use only stainless steel fastening devices (or plastic) as ordinary metal fittings will rust. For the water features the size of the pump isn’t critical, the larger the pumps capacity (the amount of water it pumps in an hour, GPH) the greater the water pressure to distribute amongst your water features as desired. 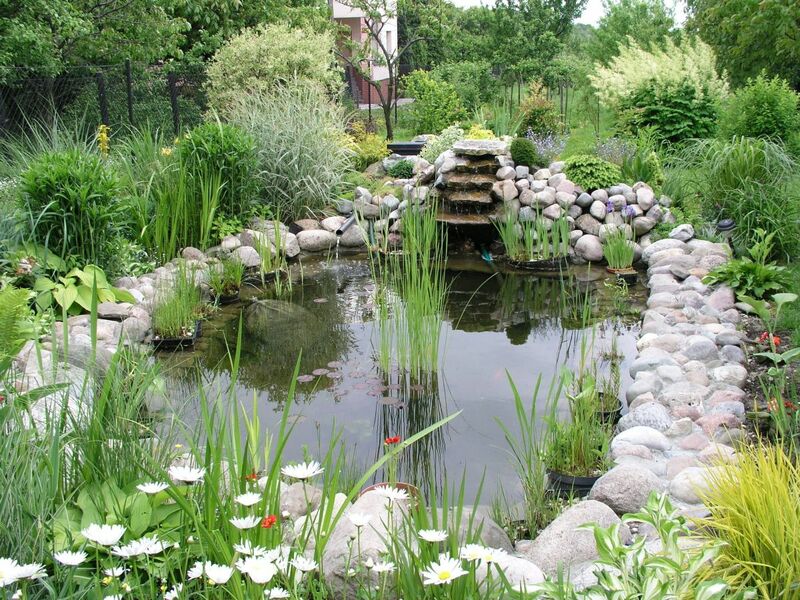 For wildlife ponds the pumps capacity isn’t important because a good wildlife pond will have its own balanced eco-system of which oxygenating plants will be a part of. However, calculating pond size for fishponds is critical in that you’ll need to circulate all the water in the pond at least once an hour. Although if you buy a pump just the right size it will struggle to do this, ideally you’ll need a pump one and a half times the minimum in order to work properly; and it doesn’t matter if it’s even bigger. So it’s better to overestimate and making the calculations isn’t that difficult. 1 square foot of water is 6 gallons, so multiply the width by the length (at the widest points) and then multiply this by the depth (deepest point) and finally multiply by six to give you the minimum GPH requirement for your pond if it’s not a wildlife pond. Above are a choice selection of quality pumps which may be just ideal for you and your pond. Over the years we've constructed several ponds, each one to replace the previous wildlife pond being grander and more ambitious than its predecessor, so don't be afraid to give it a try, and to experiment; and see where it leads you. The current pond when it was just completed and before the side on which water is jetting out of the wall was built up with a dry stone wall for the water to meander through more like a 'natural spring' seeping up through the rocks. The night of the invasion of the little yellow plastic ducks onto the wildlife pond in a suburbia garden! This video of our wildlife in Action (night and day views) I made shortly after we threw a BBQ with a few friends. 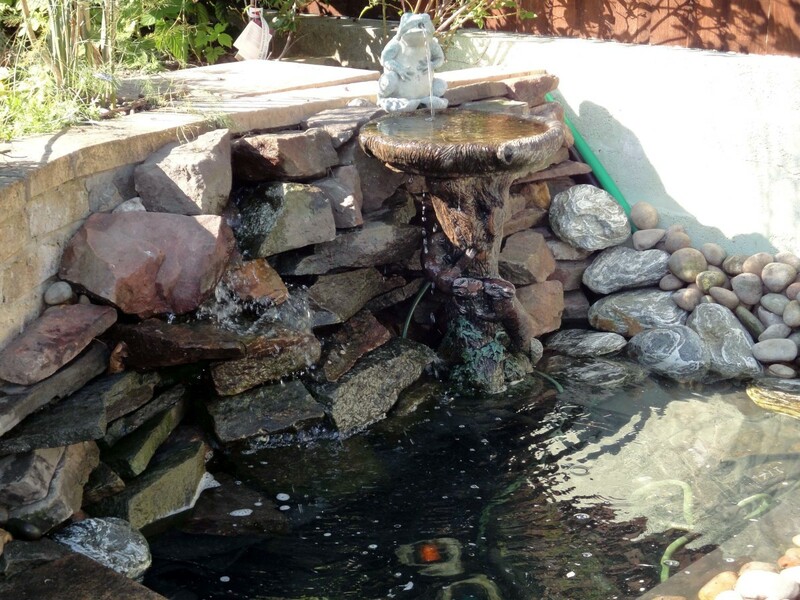 Do you have a pond in your garden? Thanks for all your feedback. If it's your first pond Anaadi then yes it's not a bad idea to keep it simple and natural at first. You can always remodel it at a later date if you wish, and add pumps for waterfalls etc., which is what I did. My first pond was very simple in design, but over the years I've added to it and expanded it. Choosing the right plants for the pond can be tricky e.g. you'll not want any that are too invasive for the size of the pond; the water lily we have is a miniature species. Certainly, I think natural stone is always better than man made ornaments; but depending on your tastes, and on what you wish to achieve, sometimes a blend of the two can be effective. I wish you all the best in your project. it would be better to make it simple and natural without pump. We also have less space about area for pond is 4"x5". Also i was wondering wether it is appropriate to put a water lily with some surface plants,grasses at edge and a couple for under water plants. And lastly I wondered if instead of man made ornaments we could keep caves and piles of stones and some suberged branches . 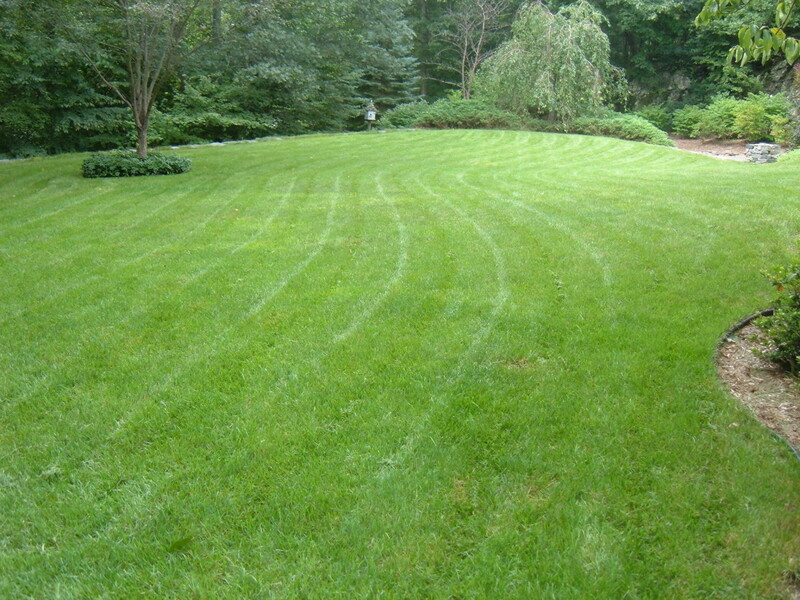 I am a keep gardener and landscape architect. I often specify ponds in my schemes. 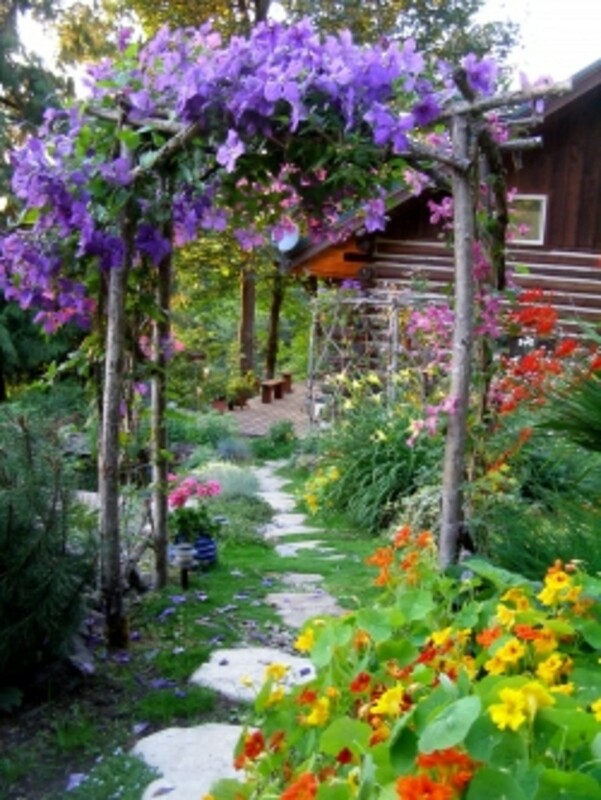 My personal preference is to maintain a separation between formal ponds and wildlife ponds. I like wildlife ponds to have organic edges for ease of wildlife egress, and no lighting. Can't wait to add my own garden pond! Unfortunately, I have a very brown thumb. Sigh.